Newham Music is the award-winning music hub for Newham. 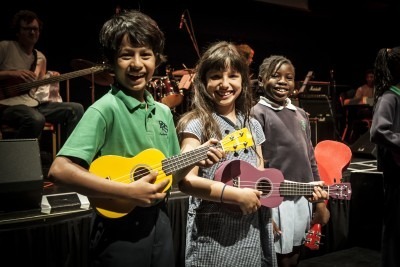 We are committed to providing high-quality music education and opportunities to children and young people in schools throughout the borough and at Newham Music Academy, our after school and Saturday music centre. 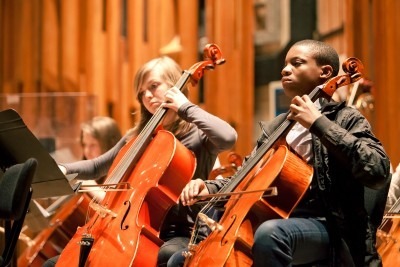 We work with over 15,000 children and young people each year and, since becoming an independent charity in 1996, we have provided transformational and life-enhancing music opportunities to many thousands of young people from all corners of the borough. 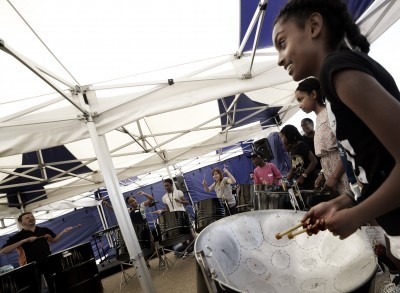 As the lead organisation for Newham’s Music Education Hub, we work with local schools, cultural organisations and community groups to bring exciting musical opportunities to the doorstep of Newham’s newest generation. An award-winning organisation, we have received the Diploma of Merit and the Incorporated Society of Musicians Award for Music Technology in Education from the National Music Council as well as the Outstanding Musical Initiative award from the Music Teacher Awards for Excellence. Find out more about our work as a music hub, here. 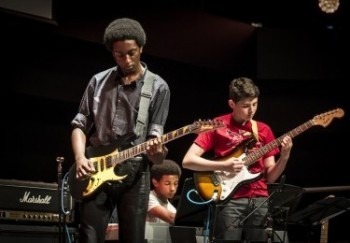 Newham Music Trust is a registered charity, no 1050105.